Many artists suffered from Turner's syndrome: They tried to get the sublime from the inside on the canvas - the main symptom of this syndrome. For Kazimir Malevich the sublime was a black square. He called the black square "the face of God." Wassily Kandinsky believed that art is created by God and artist together. Barnett Newman captured the sublime in "the pure idea”. Mark Rothko wanted his paintings to spread a transparent light from the wall. Sunlight, maybe. The symptoms may differ in nuances, the diagnosis is the same in each case. Zwagerman look at Joseph Mallord William Turner (1775-1851), the ‘Legitimate grandfather of 20th-century abstract expressionism’. 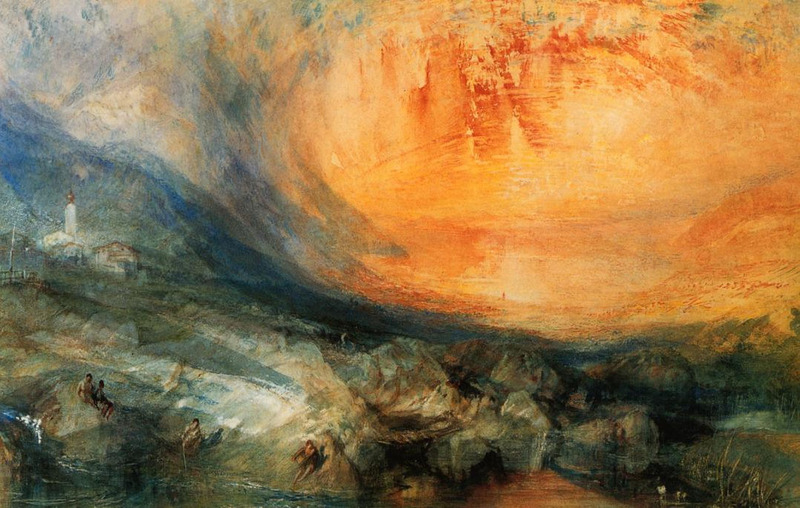 Discussion: Many artists suffered from Turner's syndrome, the British painter who wanted to capture the sunlight. And thus God. with more than 60% growth. Go forward artlovers!